Character education embody the three themes of BMAD: SELF, FAMILY, COMMUNITY. 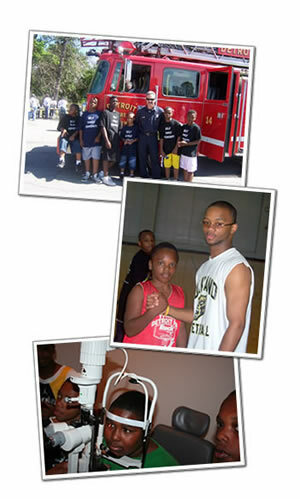 The young men are exposed extensively to male mentors from diverse personal and professional backgrounds. 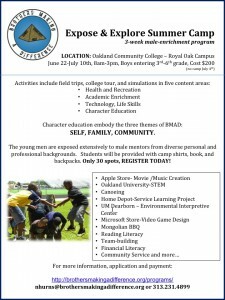 Students will be provided with camp shirts, book, and backpacks. Only 30 spots, REGISTER TODAY!